Protection Features: This folio-style cover case is an overall protective accessory for your device. Its textured exterior helps defend against scratches and fingerprints while providing boosted grip support. 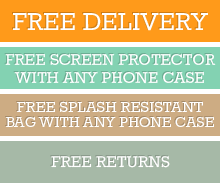 It is shockproof and drop-proof features, ensuring that your device won’t get damaged easily during accidents. Since it is crafted to fit the device’s dimensions perfectly, it effectively prevents dust, dirt, and other debris from penetrating your phone. Material: Tailored from high-quality White PU leather, this cover case is durable enough to withstand typical wear-and-tear from daily use. It also features a flexible inner case made from sturdy TPU that promotes effortless installation. Design: This White litchi textured cover case is elegant and versatile as it can be matched with any ensemble. Its solid color and textured exterior won’t clash with your outfits. This case also promotes optimum mobile experience because of precisely placed cutouts for the device’s camera, ports, buttons, and speakers. Click the button below to add the Google Pixel 3 XL Leather Wallet Case White Litchi Leather Cover with Kickstand and Card Slots to your wish list.